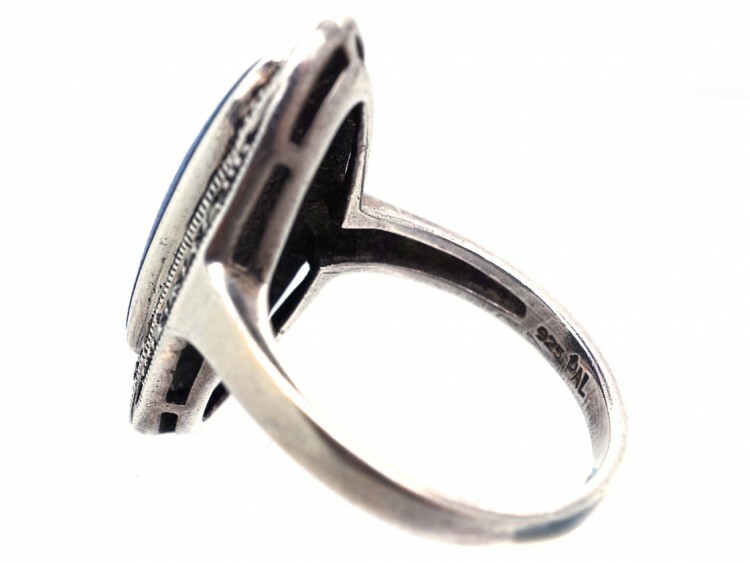 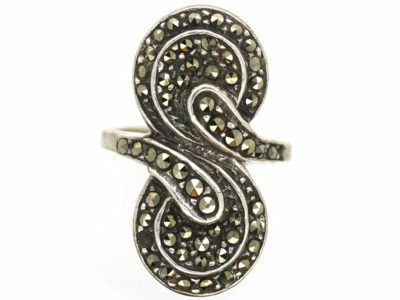 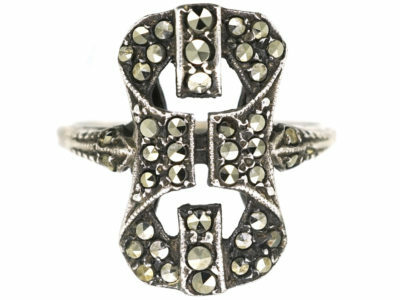 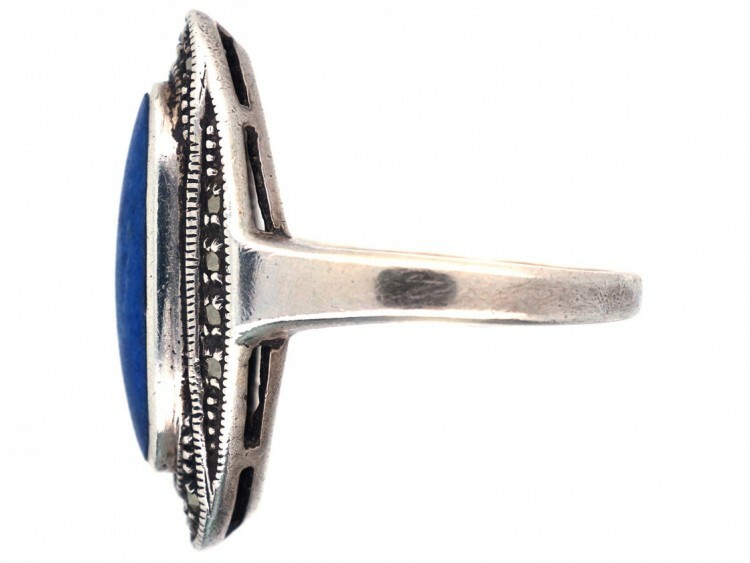 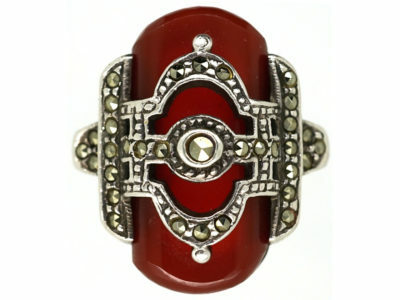 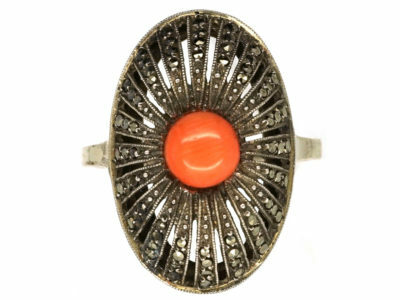 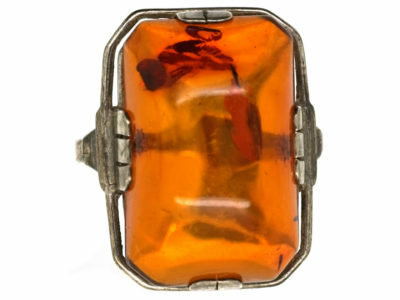 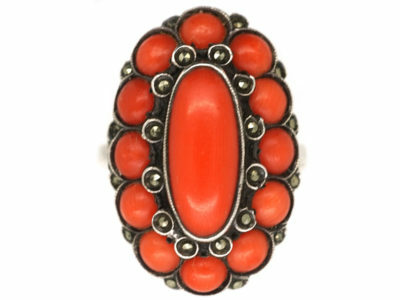 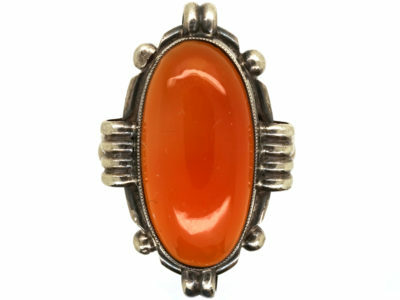 A very stylish Art Deco silver ring. 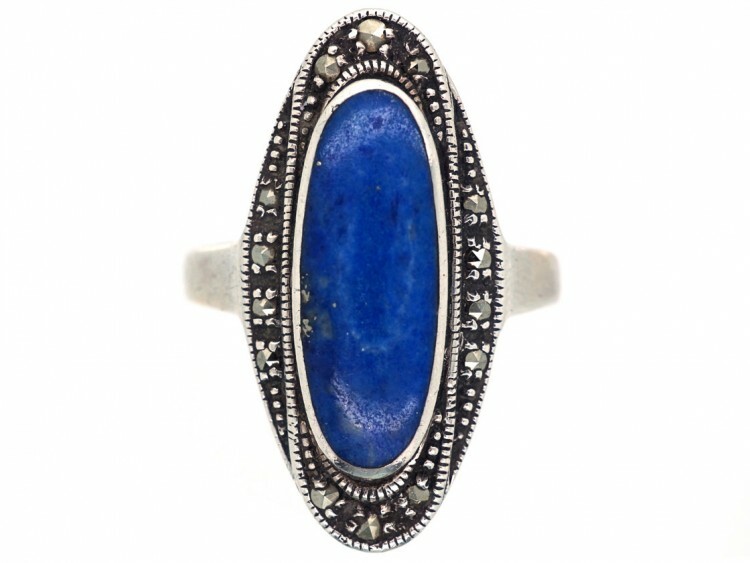 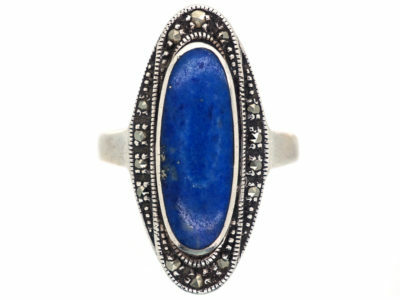 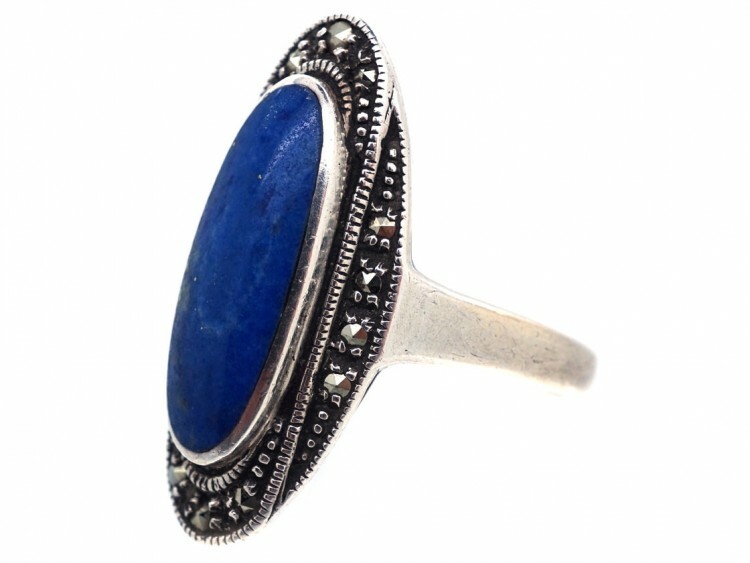 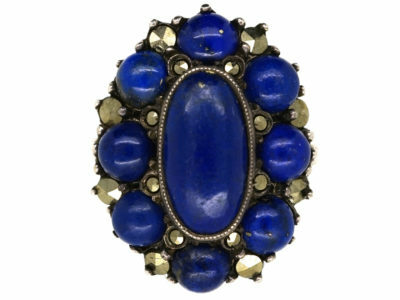 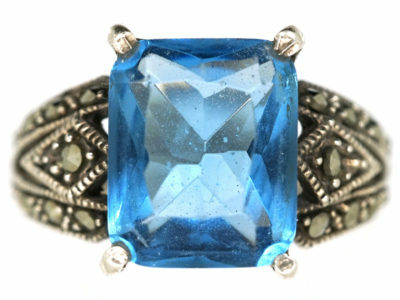 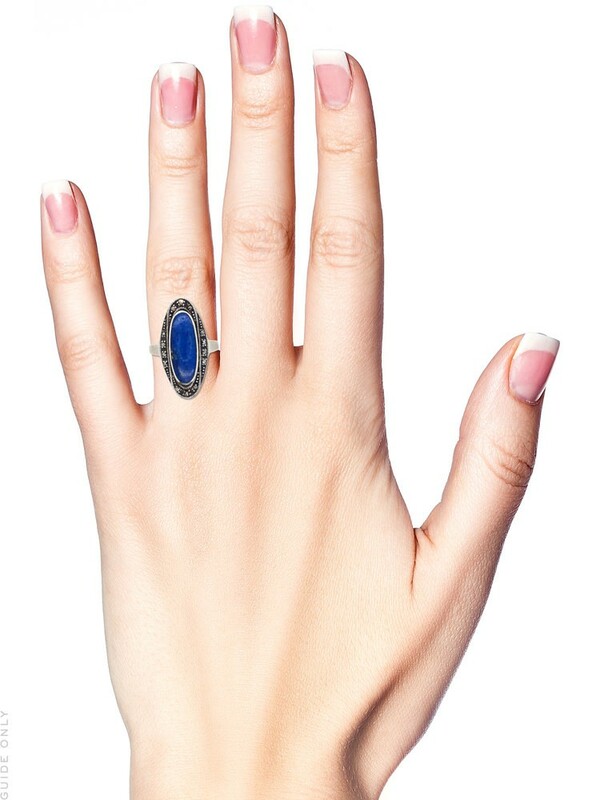 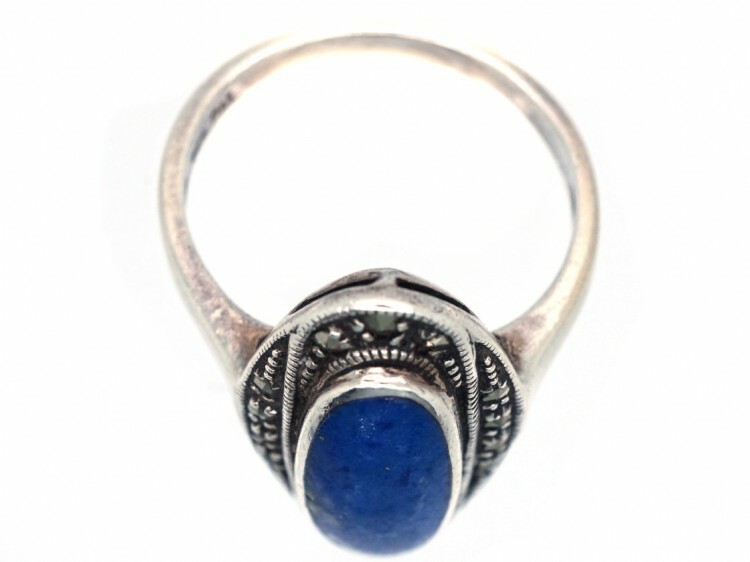 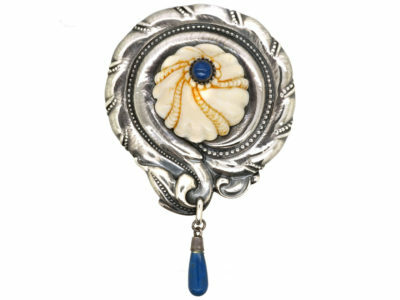 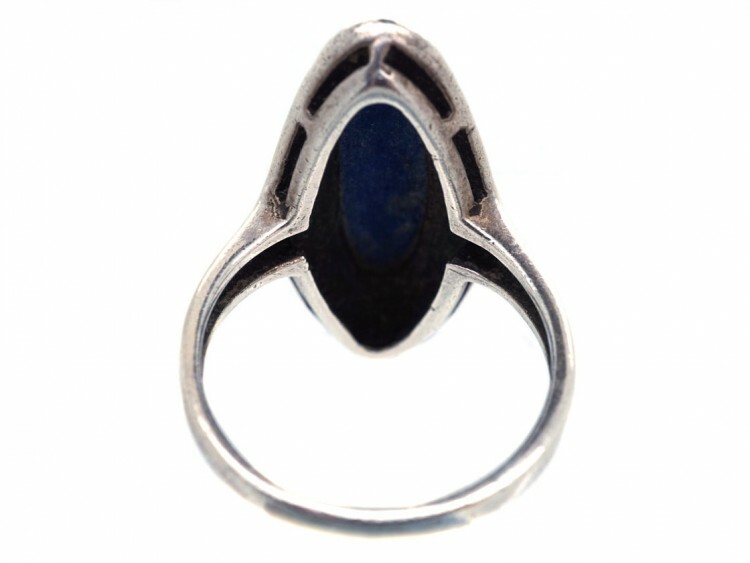 It has a long oval cabochon lapis lazuli stone displaying flecks of silver. 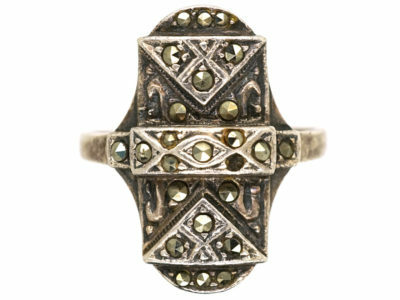 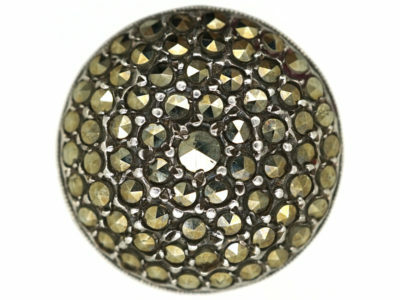 The sides are set with marcasite (iron pyrites). 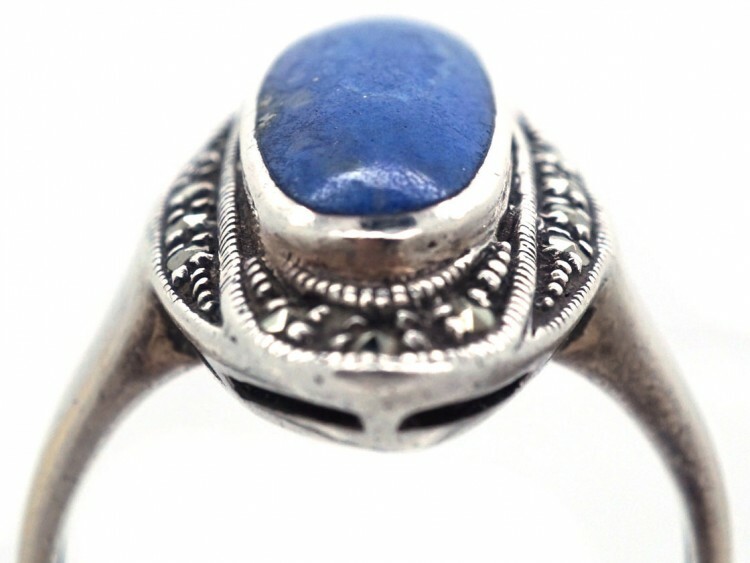 The whole effect is stunning when worn.